“Follow what is altogether just (uncompromisingly righteous), that you may live and inherit the land which your God gives you” ~ Deuteronomy 16:20. Other nations of people have long looked to the USA as a beacon of hope, a pattern for freedom as a Christian nation that they long to see in their own lands. However, they now see our nation moving farther from its roots and looking more like their own to the point that many pray for our Christian people to come under persecution so that we will rise up to fight the good fight and take our nation back to be that beacon anew. Is that what it will take before we will rise up, possess our land, and fight to keep the inheritance our ancestors passed to us? Something as simple as one vote chose n as the people after God’s own heart can make a world of difference. Will we use that opportunity to save our land, or lose it through laziness, lack of commitment, and feelings of despair? “Thus says the Lord …, ‘Build houses and live in them; and plant gardens and eat their produce. Take wives and become the fathers of sons and daughters, and take wives for your sons and give your daughters to husbands, that they may bear sons and daughters; and multiply there and do not decrease. Seek the welfare of the city where I have sent you into exile, and pray to the Lord on its behalf; for in its welfare you will have welfare. … You will seek Me and find Me when you search for Me with all your heart. I will be found by you,’ declares the Lord, ‘and I will restore your fortunes and will gather you from all the nations and from all the places where I have driven you,’ declares the Lord, ‘and I will bring you back to the place from where I sent you into exile’” (vs. 4-7, 11-14 2). Many passages of scripture encourage us to wait upon the Lord and He will move on our behalf. Waiting upon the Lord is not an inactive, sit-back-and-see-what-God-will-do word. Waiting upon the Lord takes action as His people to possess His good gifts to us and make the best of our situations while waiting. Waiting upon the Lord does not twiddle thumbs. It goes forward to live to the full while trusting the Lord, obeying His lead, and watching with earnest expectation and hope for the time of His movement. America is moving away from its Christian roots day by day. Whose fault is that: The unbelievers who act according to their nature? Or is it the fault of a sleeping church that fails to use it rights in possessing the land of our inheritance? Is it the fault of Christian individuals with a ‘why bother’ philosophy, believing all is lost and Jesus is coming soon? Have we Christians in America laid down the gauntlet rather than do all we can to dwell peacefully and fruitfully in this land? The Christian vote is vital to the way our country will go in the days to come, but statistics show most professing Christ do not get out to practice this right of choice. Many who do choose to practice their God given right do so without seeking His opinion, but rather go the way of the world to do their own thing. Are we so busy waiting for the end of all with weary thumbs that we fail to possess our inheritance, failing to live fully for the good of our land and make sure our leaders are those who will do the same? Repeatedly in scripture, God promises that if we seek after and live for Him in ways that possess His provision for us, making wise use of His blessing given us, seeing the truly good found there as coming from His hand, He will heal and restore our land. 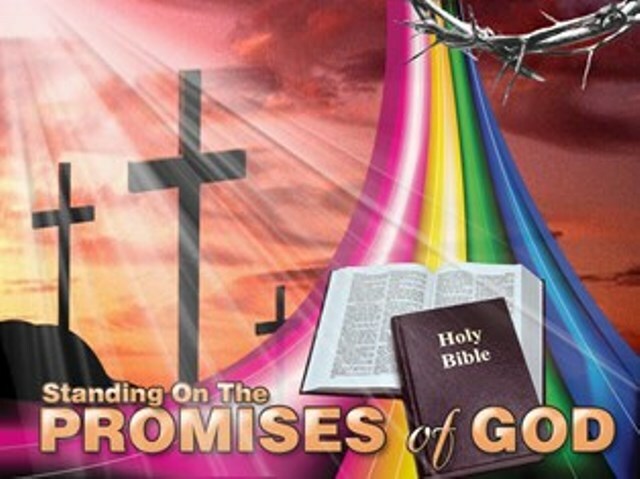 When do God’s promises expire? Because the days are evil, should we lay down as if dead in doubt and fear, and roll over to let others take possession, increasing the evil? God is not dead. Neither are His promises. God is the same yesterday, today, and forever; thus His Word to us is still good, “yes” and Amen. Even if it is the last days, we should live as possessors of all the good God gives us, using our remaining time to the full as a godly example to those in our sphere of influence, realizing, as the first paragraph shows, our American-way reach is worldwide. We live in a land that is different from any other in its freedom and provision of individual potential. If we fail to possess the land by living in it the way God desires for us and by taking part in the political process to put in office people who will protect what God has given us, we will lose it. Church, it is never time to roll over and play dead. As long as God is, we are; and we are alive with Him. It is time to rise up and possess the good land of our inheritance. We can begin by getting out the vote, making our choice known. “TRUST in the Lord and DO good; DWELL in the land and CULTIVATE faithfulness. DELIGHT yourself in the Lord; and He will give you the desires of your heart. COMMIT your way to the Lord, trust also in Him, and He will do it. He will bring forth your righteousness as the light and your judgment as the noonday. REST in the Lord and WAIT patiently for Him; do not fret because of him who prospers in his way, because of the man who carries out wicked schemes. Cease from anger and forsake wrath; do not fret; it leads only to evildoing. For evildoers will be cut off, but those who wait for the Lord, they will inherit the land. Yet a little while and the wicked man will be no more; and you will look carefully for his place and he will not be there. But the humble will inherit the land and will delight themselves in abundant prosperity” ~ Psalm 37:3-11. Daily Declarations for Spiritual Warfare by John Eckhardt, day 11 of February. Read full Jeremiah 29 passage.